Mobfest is the culminating activity for schools and their students in each region where Music Outback operates. It’s a festival where music based education takes center stage, and students from Indigenous remote communities get the opportunity to share their achievements with other schools, their families and their peers. Mobfest Tanami 2011 — let the pictures tell the story! Held annually over 1-2 days at a central participating school in each region, Mobfest combines performance opportunities on the main stage with workshops covering a broad cross section of the creative arts. Whether it be dance, instrument making, music technology, or massive drumming ensembles, Mobfest engages students at a deep level, and gives every student the chance to shine as they perform their own unique repertoire of songs on the big stage. Each year, these performances give students a growing sense of self-esteem and a vision of their own potential. Indigenous kids can be very shy, so performances in front of community families and friends provide critical opportunities for self-belief and confidence in what they can achieve. Enjoy some of the many student performances at Mobfest by clicking here. With community engagement at the core of Music Outback Foundation values, Mobfest has proven the perfect vehicle for community participation in our programs. At Mobfest Tanami, held each year at Ti Tree in the NT, at least 30 community elders deliver a traditional culture program to students as a key component of the festival. With dance, singing, carving and body art at the heart these activities, students get the opportunity to learn about their culture and their dreaming – while community elders use the festival as a platform to sustain and maintain their traditions. 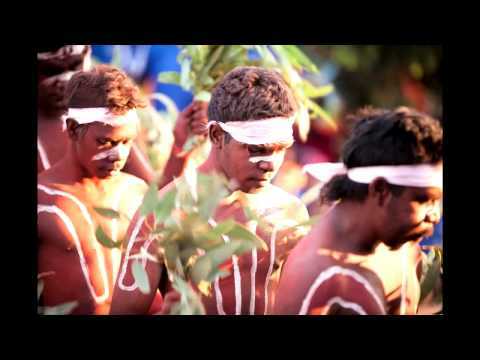 This opportunity to embrace their culture in the setting of a school based event is highly valued by the Ti Tree community, and an important part of Music Outback’s approach to music and arts based education in remote schools. 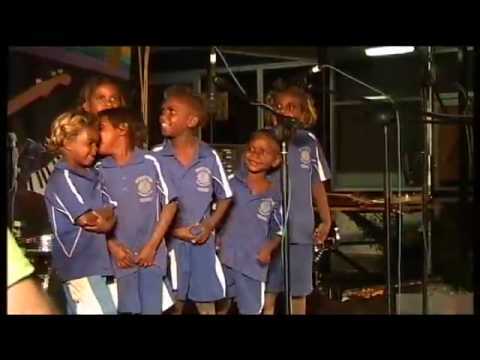 Music Outback Foundation programs, and Mobfest in particular, provide remote Indigenous students with opportunities that mainstream students from the cities are often fortunate enough to have on a regular basis. Mainstream schools are usually well resourced for music and arts activities that include ample opportunities for public performance. On remote Indigenous communities however, it takes programs like Music Outback’s and events like Mobfest to allow remote kids to discover their own potential in the creative arts, and subsequently benefit from the many learning opportunities that music and arts programs offer. It’s easy to see by the smiles on their faces alone how important these opportunities are.